It looks as if the dream come true, the Chandrayaan-1 mission is India’s first lunar spacecraft, which was announced by Ex Prime Minister Mr. Atal Bihari Vajpayee on Indian Independence Day, August 15, 2003. He said “Our country is now ready to fly high in the field of science. I am pleased to announce that India will send her own spacecraft to the moon by 2008. It is being named Chandrayaan-1“. Chandrayaan (an ancient Sanskrit word) means “Moon Craft”. The maiden journey of the moon probe is expected to be on 22 October 2008. According to astrologers also, this auspicious date is good for the mission. To expand scientific knowledge about the moon. To upgrade India’s technological capability. To provide challenging opportunities for planetary. Chandrayaan-1 aims to achieve these well defined objectives through high resolution remote sensing of the moon in the visible, near infrared, microwave and X-ray regions of the electromagnetic spectrum. With this, preparation of a 3-dimensional atlas of the lunar surface and chemical mapping of entire lunar surface is envisaged. Chandrayaan-1 Imaging X-ray Spectrometer (C1XS) – by Rutherford Appleton Laboratory of England and ISRO Satellite Centre, Bangalore. Smart Near Infrared Spectrometer (SIR-2) – by Max Plank Institute of Germany. Sub keV Atom Reflecting Analyser (SARA) – by Swedish Institute of Space Physics and Space Physics Laboratory (SPL) of ISRO’s Vikram Sarabhai Space Centre built its processing electronics. Radiation Dose Monitor (RADOM) – by Bulgarian Academy of Sciences. Mini Syntheic Aperture Radar (MiniSAR) – by Johns Hopkins University’s Applied Physics Laboratory and Naval Air Warfare Centre, USA through NASA. Moon Mineralogy Mapper (M3) – by Brown University and Jet Propulsion Laboratory through NASA. 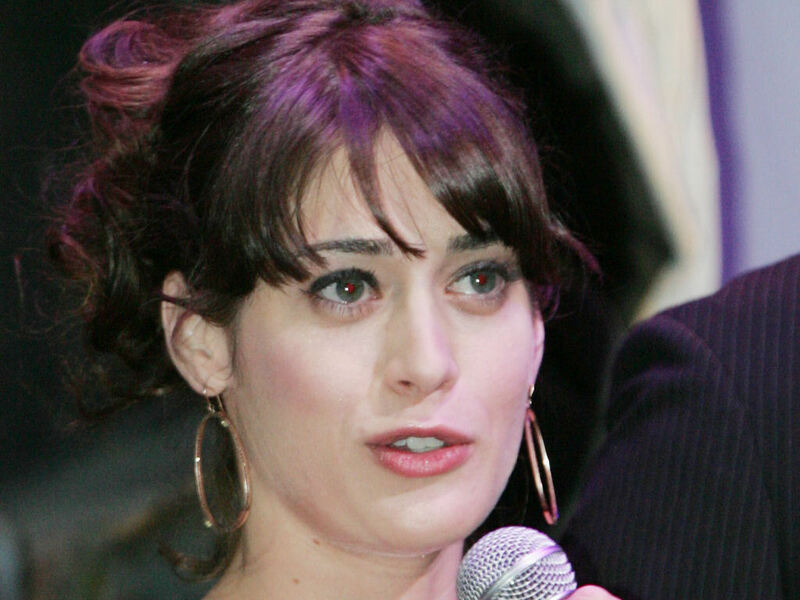 5′ 5″ (1.65 m) tall, beautiful, happening actress Elizabeth Anne Caplan, aka Lizzy Caplan, was born on June 30, 1982 in Los Angeles, California. She has an older sister, Julie and an older brother, Ben. She Grew up in Reform Jewish family. She joined Hamilton Academy of Music in Los Angeles, California, 2000 batch. She worked in too many movies : My Best Friend’s Girl, Crossing Over, Cloverfield as Ami, Marla, Marlena Diamond in 2008. One of her up coming movies is : “The Last Rites of Ransom Pride” as Juliette Flowers which is scheduled to be released next year (i.e, 2009). 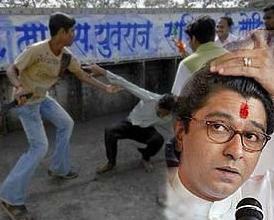 Raj Thackeray and ShivSena – Prevailing Brutality? Raj Thackeray, a new name in the Indian Politics, is trying to show his bloody power by the meanest things ever in Indian Politics. Besides being called to be a peaceful country, Raj Thackeray, founder of Maharashtra Navnirman Sena (MNS), is trying to put definition of peace in different manner. The place where great personalities like Mahatma Gandhi, Jawahar Lal Nehru, Mother Teresa, Lal Bahadur Shastri, Rabindra Nath Tagore, Indira Gandhi, Rajiv Gandhi and other great politicians took birth in this lovely country. Unfortunately Raj also took birth in this country. Yesterday, on the day of Railway examination, October 20, 2008, a lot of candidates who had prepared so long to get through this exam, came to Mumbai for the examination. But these candidates don’t even know that terror is awaiting them. Yes thats right, at approximately 4 o’clock, in the morning at the Thane railway station, when most of the candidates were either sleeping or waiting for the examination scheduled time, MNS workers came and started beating those candidates horribley. They were carrying iron-rods, belts, stones, bricks which they’ve used against those candidates. That was just because those candidates were North Indians specially from Uttar Pradesh(UP) and Bihar. The candidates somehow manage to run away from the railway station. They were told as if they are going to appear in the examination, they will be killed right in the examination. By this fear, out of 800 only 25-30 candidates managed to come in the examination center. During examination Shivsena members came and started beating them out of the examination hall. Somehow these candidates managed to run away from the hall. The police there at the examination center were just looking at the activities by Shiv Sena members. Perhaps these groups were trying to increase their vote bank in Maharashtra, by beating up North Indians. Well I don’t think this to be a better option, to increase the voters. “Can’t beat them in exams, so beat them up: MNS”. This is really a shameful fact. By this strategy there will surely hazard to National Integrity, which indeed is not good for India. I think MNS and other same type of groups/parties should be banned with the immediate effect. And the owners and founders of such groups should be caught and kept in jail. As law is same for all. In response to this incident, Indian Railway Minister Mr. Laloo Prasad Yadav said “I strongly condemn the incident. There should be an inquiry into the attack. There should be strong action against that party…MNS should be banned“. Or there may be an another option as well, they should try to make effort to crack the exam. They should try to get in the top-list of the exam, whether it may be Indian Civil Services(IAS, IPS, IFS, etc). I think, Maharashra candidates better try in the Exams of other states. If those candidates are coming to Maharashtra, then these candidates should work hard and go to other states ! Show a healthy competition ! Sachin Ramesh Tendulkar was born on 24 April 1973 in Bombay, India. Sachin, one of the child among four siblings, was born in the house of his father Ramesh Tendulkar, a Marathi Novalist. He is also called “Master Blaster” by his fans. He wears ODI shirt no. 10. He made his first Test debut in 15 November 1989 against Pakistan. First One Day International(ODI) in 18 December 1989 against Pakistan. 12,000 test runs in 2008 in 152 test matches. Jet Airways, one of the leading company of civil aviation in India, is struggling for its existence. Jet Airways had fired over 1100 employees, after the economic disaster in the world. After this shocking news the employees started protest against this harsh decision of the Jet Airways Management. In a couple of days from the protest of the employees of Jet Airways, Jet Airways Chairman Naresh Goyal officially announced the re-hiring of the retrenched employees. He said the decision is solely mine, I have neither asked my management nor my wife, about this whole issue. “I have not been able to sleep all night. I apologize for what has happened“, he added. He appealed the employees to get back to work from today morning. “I was shaken after I saw all the grief around, I cannot see tears. I have faith and am answerable to God and my mother who is no more“, he said emotionally. While asked about the political pressures(that by Maharashtra Navnirman Sena chief Raj Thackeray’s threat), he again re-assured that he has not been pressurized by anybody. But will this drama really maintain the work-flow with the employees, will they be able to work again with the same motivation ? Lets hope for the goodies !! In the earlier years of this millennium there was no more reliable, more efficient and more user-friendly mode of interaction between the Internet users. That time we had just the email or chat systems to communicate on the web. So the need of communicating with the friends, the batch mates, the colleagues and family members arose drastically. In accordance with that different ideas came to different people to give birth to the so called “Social Networking” concept, such as orkut, hi5, facebook, people forever, friendster, ning, etc to name a few. The Social Netwoking giants as well as the new entrepreneurs, are now trying to merge all the networks into one, so that there will be a unique identity of a person in the virtual world. Indeed this step will give a new dimension to a person and make the person ubiquitous. Many new entrepreneurs are making use of the APIs and Web-services being provided by the different social networking websites to make the reunite on web.